Of course, like any other Mama, you sometimes feel that your daughter is so absolutely adorable and she shines in front of the camera. You probably have been searching sites but it seems that most of those links out there are only directed to scams. So, how do you find the right agent to represent your baby girl? Or should you just walk into these places and show her in person, could this, however, be too up front? It is true you are probably getting tired of researching, so here are the four steps you need to take to get your child into the modeling industry. But, before taking these steps, you will need to ask yourself the following questions: Are you willing to put in the time and effort? Do you have the time? Is your child shy? Shy children don’t do well in the industry. Read on! Give it a try and see if she likes it: if your child has this kind of little character, she has expressed great interest in music and dance and she is very dramatic, ask her if she wishes to take a dance class. Remember that at this age, they are probably too young to really know what modeling or a dance class is or to even understand it. So, it’s a good idea to try things. Start with the dance classes, and if she likes it, then cool, if not, well, try something else. Find a modeling agency that represents children in your area: when searching for an agency, be careful of scams. Don’t pay any money. Ever. You should not pay any kind of upfront cost for anything. In fact no responsible agency will ask you for money. Not one. If they do, it is a scam. Run in the opposite direction. Fast. If you get a good agency, then you will a couple of full length shots- not necessarily professional ones, but they need to be clear photos. 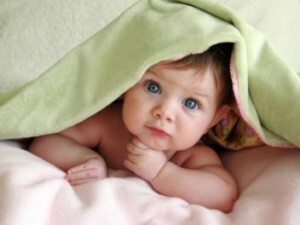 A talent agent needs to see your baby’s face clearly- and she should be smiling and happy. The agency will then set you up with casting calls on your own. So as to be sure if the agency is actually a good company, check it out on the Better Business Bureau. Note that this particular age will involve a lot of work for you. So make sure that you are willing to devote your time to it. Understand the legal provisions concerning your child in the modeling industry: any agency taking your child under the legal school leaving age onto their books should by law, make sure that you are aware of the concerning the licensing of those persons under the legal school leaving age. Any genuine agent will know that any work undertaken by an agent with a child under such age which is not licensed is not only an infringement of the legal provisions concerning agency code of conduct, but also flouting the law protecting such children, and such unlicensed work is not legal. Your child needs to be protected not exploited. Keep trying: in case you don’t find an agency willing to represent you, don’t fret. One good thing about babies is that they do change their lock almost on a daily basis. In fact most agencies will require new photos of your baby monthly to submit to clients on your behalf. This is necessary because the babies’ physical characteristics change day to day. They make get new hair-cuts, loose a tooth or get braces off (or on). You probably never know what may catch an agency’s eye. Nothing is actually wrong with trying to reach to the same agency more than once- hearing “No”, or “Not now” is part and parcel of the business, so welcome. Don’t get discouraged. Unless the rejection has become too much to bear, then modeling has not eluded your little baby. Persistence pays.